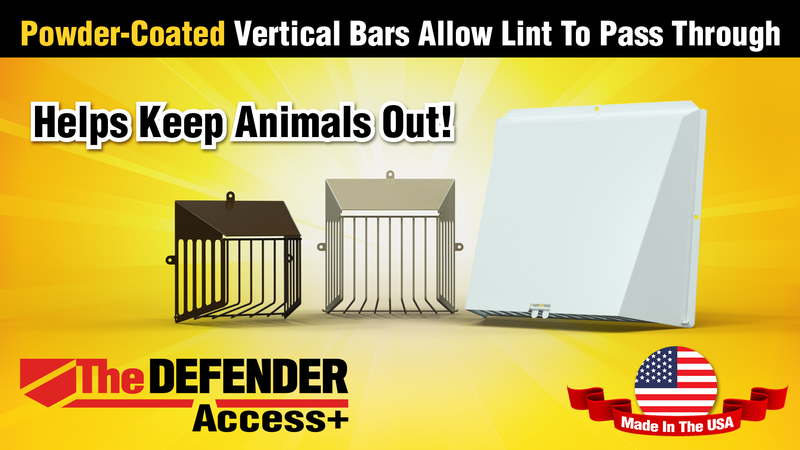 The Defender is the perfect choice to help keep out birds and squirrels. While allowing free-flowing air movement, its patented design effectively blocks intrusion by using a system of bars instead of a screen under the hood. While the DryerWallVent is the designer's pick for most venting terminations, there are numerous applications for The Defender. Some of these include harsh weather conditions, deterring animal intrusion and where housing dictates a certain type of venting hood. Call 1-888-443-7937 today to learn more. Click here for the Intro and Spec Sheet.